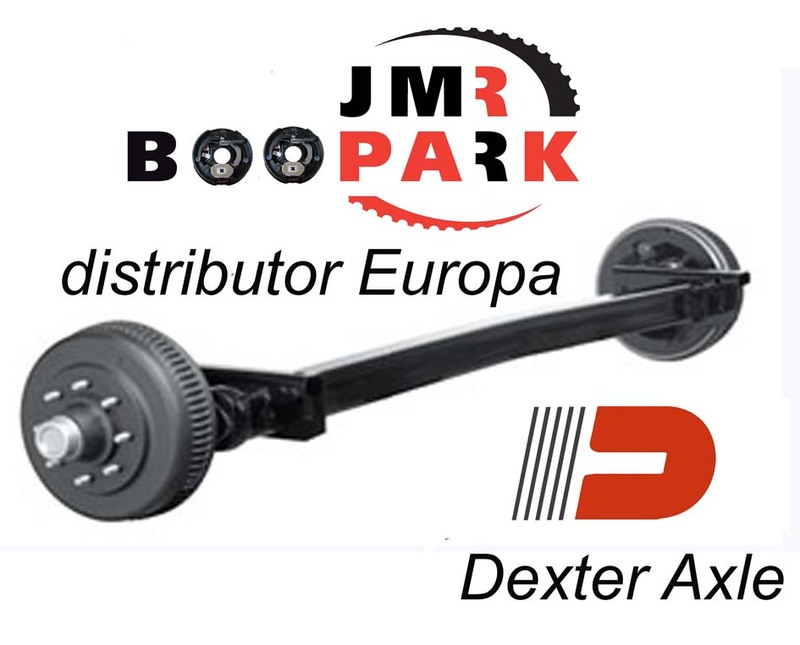 Dexter axle with electric brakes supplied by JMR Boopark. Dexter Axle supplier of axles with electric brakes. The Dexter Axle Torflex suspension system is a torsion arm type suspension which is completely self contained within the axle tube. It attaches directly to the trailer frame using brackets which are an integral part of the axle assembly. The Torflex axle of Dexter Axle provides improved suspension characteristics relative to leave spring axle through the unique arrangement of a steel torsion bar surrounded by four rubber cords encased in the main structural member of the axle beam. The wheel / hub spindle is attached to a lever called the torsion arm which is fastened to the rubber encased bar. These arms can be specified to a range of starting angles, which allow the designer to tailer the running height of the vehicle. Dexter Torflex axles with rubber suspension. Also for leaf spring suspension axles.